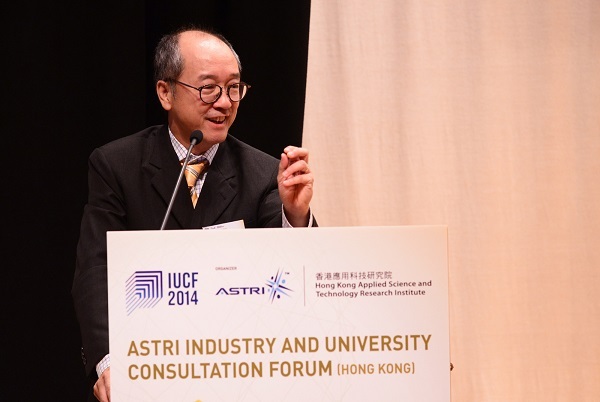 (Hong Kong, 3 September 2014) Hong Kong Applied Science and Technology Research Institute (ASTRI) today (3 September) held the “2014 Industry and University Consultation Forum (IUCF)” at Charles K. Kao Auditorium, Hong Kong Science Park. 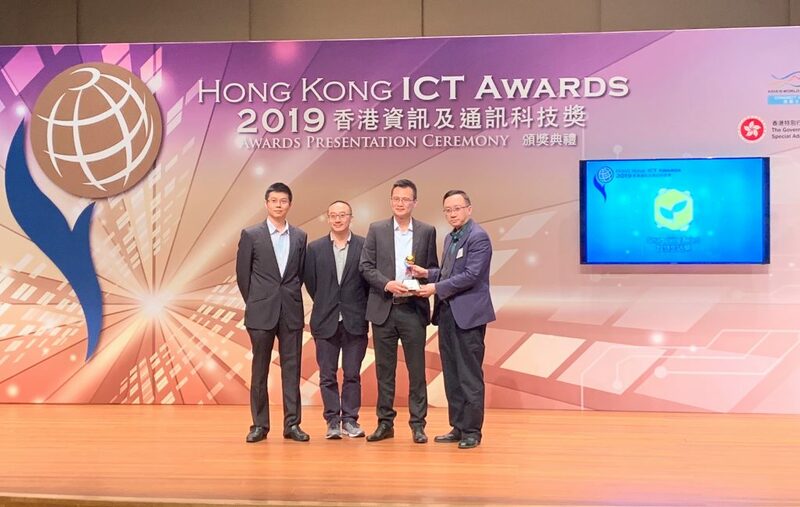 More than 250 representatives from the Government, academia, industry and research centres gathered together to seek synergy in advancing innovation and technology of Hong Kong. 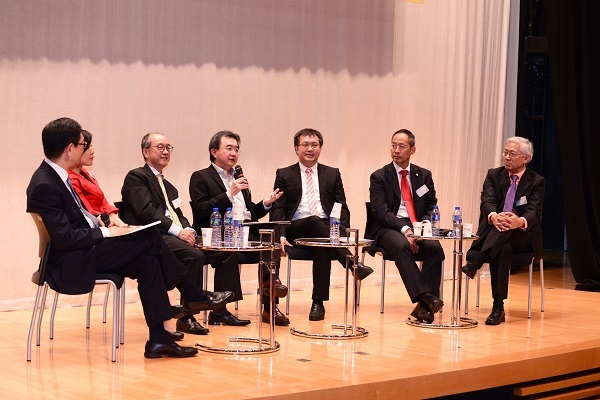 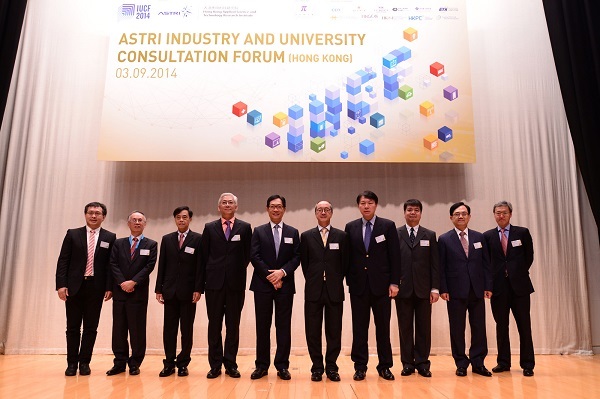 Prof. Tony F. Chan, President of Hong Kong University of Science and Technology, Mr Vincent Tang, Acting Deputy Commissioner for Innovation and Technology, Mr Wong Ming-yam, ASTRI’s Chairman of the Board, and Dr Frank Tong, ASTRI’s Chief Executive Officer, officiated at the Forum. 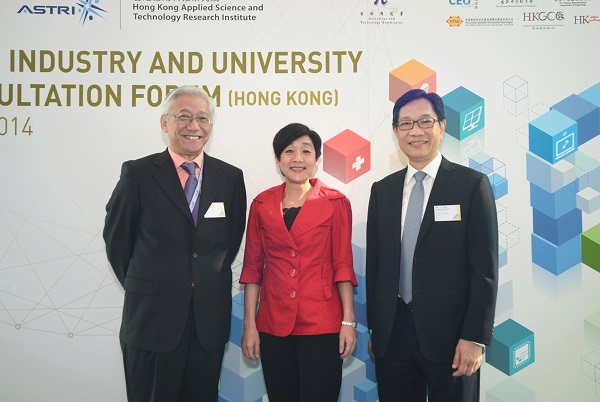 At the Forum’s panel discussion themed “Advancing I&T through collaboration among Academia, R&D Centres and Industry”, Prof. Tony F. Chan; Prof. Roland Chin, Deputy Chancellor and Provost, The University of Hong Kong; Prof. Alex Wai, Vice President (Research Development), The Hong Kong Polytechnic University; Dr Samson Tam, Chairman, Technology Development Committee, Federation of Hong Kong Industries; Ms Cally Chan, Managing Director, HP Hong Kong; and Dr Frank Tong ignited insightful discussion about the development of Hong Kong’s innovation and technology industries from various perspectives. 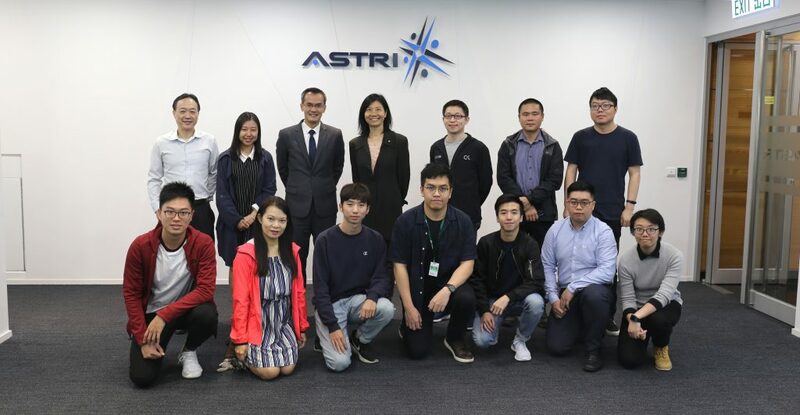 Through the one-day Forum, ASTRI introduced to the audiences more than 120 technical projects undertaken by its Communications Technologies Group, Integrated Circuit Design Group, Sensing and Integration Group, Software and Systems Group, and Exploratory Research Laboratory. 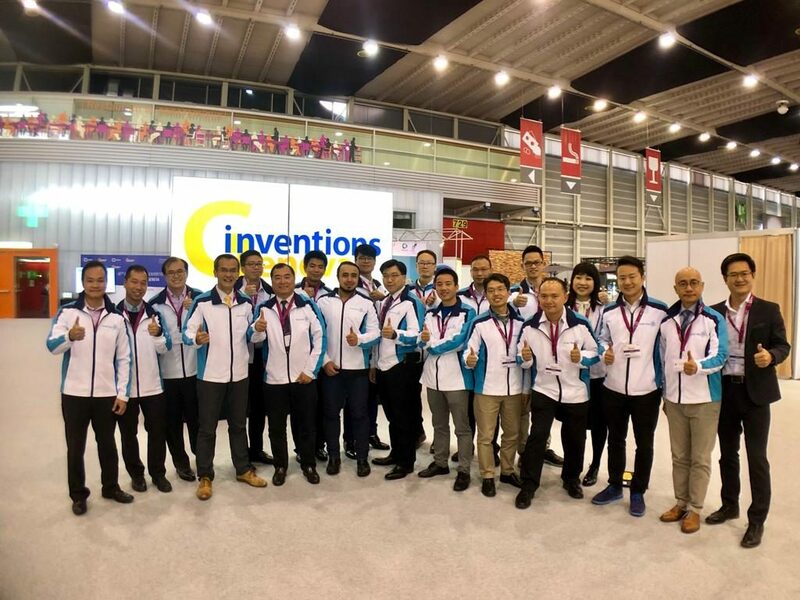 The many innovative projects included: LTE-Advanced RF transceiver chip, Internet-of-Things management and application platform with broadband wireless, 5G radio access technologies, nanometer SOC design technology, micro-inverters for renewable energy generation, visually enhanced ultra HD, advanced augmented reality technologies, smart 3D machine vision system, healthcare electronics, 3D and interactive projection system, intelligent cloud security computation for big data application, smart classroom, and big data management and analytics. 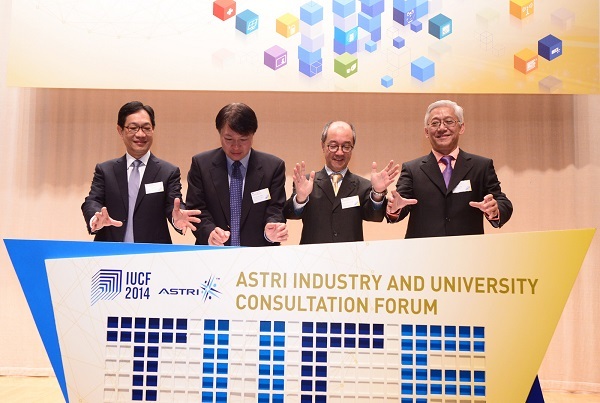 Since 2007 ASTRI has organized IUCF annually to inform potential partners of the institute’s latest technical developments, solicit suggestions for future R&D projects and cultivate opportunities to establish collaborations. 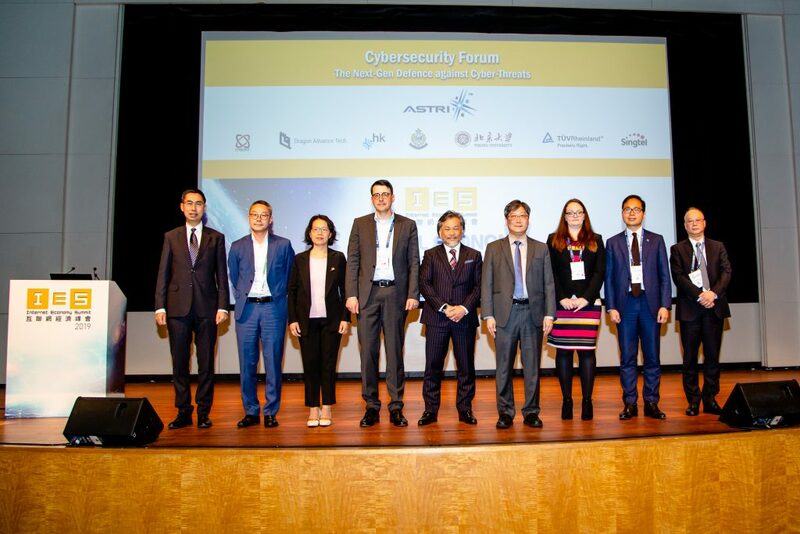 The Forum this year will also be held at in Shenzhen on 17 September. 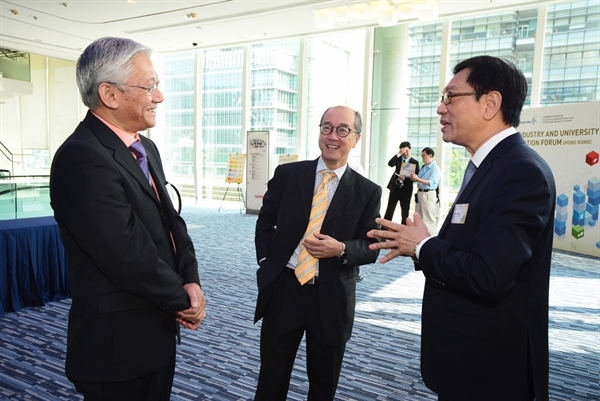 2014 IUCF was supported by Innovation and Technology Commission of the HKSAR Government, CEO Club, The Chinese General Chamber of Commerce, The Chinese Manufacturers’ Association of Hong Kong, Federation of Hong Kong Industries, The Hong Kong Electronic Industries Association, Hong Kong Electronics & Technologies Association, Hong Kong Federation of Innovative Technologies and Manufacturing Industries, Hong Kong General Chamber of Commerce, Hong Kong Institution of Engineers – Electronics Division, Hong Kong Productivity Council, and Hong Kong Science and Technology Parks Corporation.